Those who suffer from Asperger’s syndrome will usually find it extremely difficult to interact socially. Because of this, they will focus on a narrower field of interest and are able to pursue those fields with a great deal of intensity. The following is a list of famous people who have/had Asperger’s Syndrome. It is important to note, however, that there is still speculation about whether some of the people on this list had/have Asperger’s. 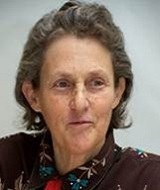 Temple Grandin is so accomplished that sin 2010, she formed part of Time Magazine’s list of the top 100 influential people from around the world where she appeared in the category “Heroes.” Grandin is an American autistic activist, bestselling author, Colorado State University professor, doctor of animal science and animal behavior consultant for the livestock industry. When she was young, Grandin would only communicate by humming and screaming and experts told her parents that she would never leave her shell. However the combination of a caring nanny and early education helped Grandin learn to speak and flourish despite her Asperger’s syndrome. 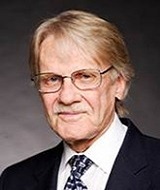 Dr. Vernon Smith is a professor of economics at Chapman University and one of his greatest accomplishments was in 2002 when he won a Nobel Prize for inventing the field experimental economics. He feels that instead of affecting his life negatively, his Asperger’s syndrome, along with his great ability to concentrate, led to the creation of experimental economics and his winning of the Nobel Prize. Dr. Smith told MSNBC that he never experiences pressure in a professional setting to do things the same way as others and his Asperger’s has given him an open-mindedness to ways of looking at issues in economics. 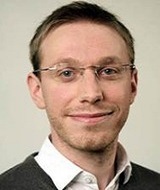 Daniel Tammet is a famous autistic genius who lives in the UK. Although he was diagnosed with Asperger’s later in life, he is considered a “prodigious savant”, one of a few in the world. Tammet created the website “Optimnem” and is a tutor and writer. He has amazing language skills as he currently knows ten different languages and can learn an additional one in only a week. He also has a great memory as well as capability with numbers. In fact, he can “calculate” even extremely large numbers without the use of a calculator, pen or paper up to 100 decimal places. Tammet does so easily and with great accuracy. Heather Kuzmich rose to fame when she was the fourth runner-up on America’s Next Top Model. She is currently a fashion model as well as art student. While she was on the show, fans found out that Kuzmich has both ADHD and Asperger’s. She was diagnosed at age 15. After appearing on the show, Kuzmich signed up with Elite Model Management (specifically in Chicago and Hong Kong). In addition she has appeared in Spectrum Magazine (including a feature on the cover) which is a magazine designed for individuals and families with autism. 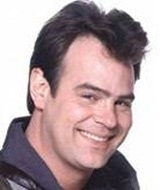 Dan Aykroyd is famous due to his recurring role on Saturday Night Live as well as acting in Ghostbusters (which he wrote) and The Blues Brothers. Despite his success, life wasn’t always easy. During his childhood, Aykroyd struggled with both Asperger’s syndrome and the other neurological disorder Tourette syndrome (he is part of the under 1% of kids that receive a diagnosis of Tourette syndrome). It is common for additional neurological disorders, such as Asperger’s, to be associated with Tourette syndrome. 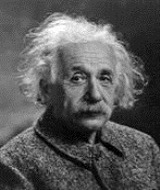 Albert Einstein is a famous German-born scientist famous for his work as theoretical physicist as well as receiving the Nobel Prize in Physics in 1921. When Einstein was young, he was very withdrawn and found it hard to relate to his peers. He also had fits of rage during childhood and experienced problems communicating with adults. His lack of interest in conforming to accepted norms is evident in his famous hairstyle. It is also reported that Einstein would tell brutal truths without regard to someone’s feelings and had seven different identical suits. 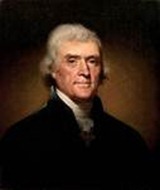 Thomas Jefferson is one of the most famous men in American history. He was one of the founding fathers as well as the main author of the Declaration of Independence which was written in 1776. Between 1801 and 1809, Jefferson went on to become the United States of America’s third president. He was uncomfortable in social situations (such as public speaking) and had a stutter. In fact, Jefferson disliked speaking in public to such an extent that instead of giving the state of the union address before congress, he wrote it out. Throughout both his term as president and as secretary of state, Jefferson maintained a disheveled appearance which many thought was not appropriate for these high offices. In some cases he even greeted foreign dignitaries while wearing his bathrobe. 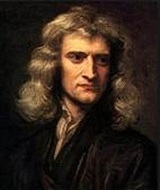 Isaac Newton is one of the most famous scientists of all time. He was an English alchemist, natural philosopher, theologian, astronomer, mathematician and physicist. Newton’s most famous (and most influential) work was describing the laws of universal gravitation as well as the 3 laws of motion. These discoveries led to the development of classical mechanics (which was the main scientific view of our physical universe during the following three centuries) as well as modern engineering. Throughout his entire life, Newton had difficulties with social interactions and was known to say things that were inappropriate and outrageous. In addition, he was not able to separate himself from his field of interest which was very narrow, a classic trait for those with Asperger’s.